Round 3 Qualifying for the $50,000 JWP 3/8th Mile Derby Wednesday Afternoon, February 13! 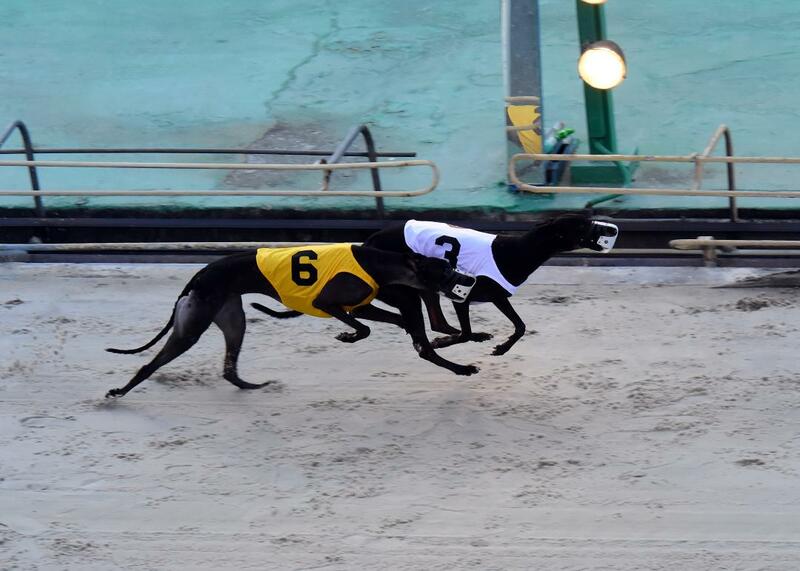 In Race 14, #2 O Ya Fire Fly (Kiowa Mon Manny – O Ya Victoria) puts her streak on the line against a very strong field including first-round qualifying winner #1 Stoughton (Djays Octane – Myra Kraft, Rader Racing), second-round victor #3 Bartsblackrushin (Gold Town* – Barts Magpie, James Douglas Kennel) and perhaps Fire Fly’s biggest threat, first-round winner, #8 Elizabeth Banks (Pat C Clement – WW Lonesome Dove, D. Q. Williams Kennel). Race 15 features the undefeated entry, #3 Newburyport (Djays Octane – Myra Kraft, Rader Racing). If she can rush to the lead as she did in rounds one and two, then entering the semifinals without a qualifying loss is guaranteed. Also, a good in-the-money potential comes with the well-posted #1 Barts Jasmine (Deerfield Mover* – Barts Lilac, James Douglas). It should be noted that in this event, there is only one other Greyhound who was a qualifying-round winner, Koppe, Staats & Collins Kennel’s young phenom, #7 Pat C Snickers (Pat C Clement – Pat C Deception).